When you think of black holes, you probably think they are chaotic destroyers of all, wandering through space devouring everything in their path, and once something gets too close, it’s gone forever. 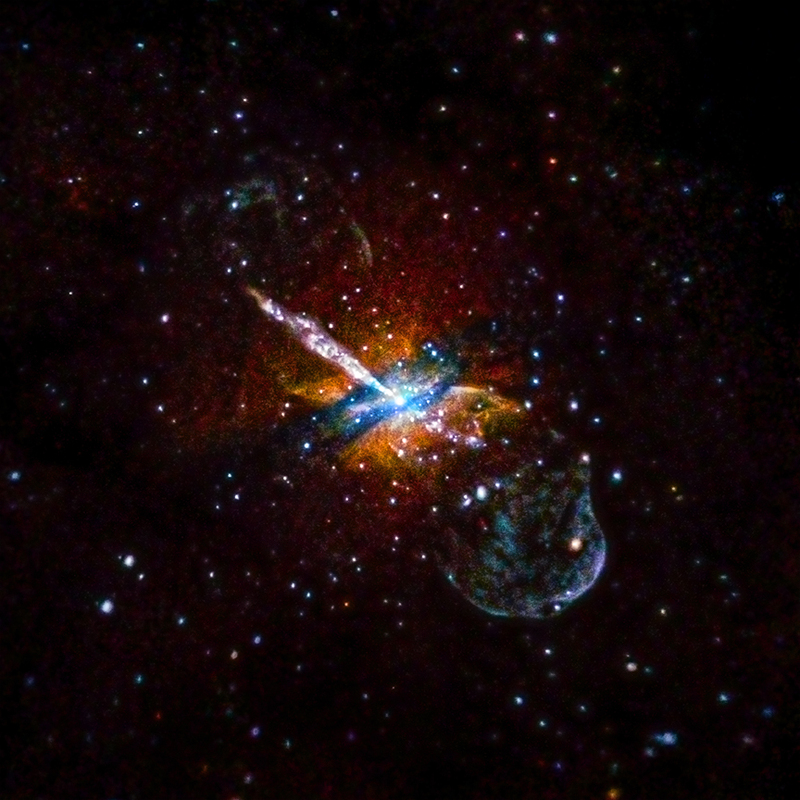 The nearby active galaxy Centaurus A, spewing out material from its central black hole. Credit: NASA/CXC/U.Birmingham/M.Burke et al.